Zebra has recently introduced the TC8000 enterprise mobile computer, a landmark innovation in warehousing technology that will drive significant gains in productivity and decrease worker fatigue. 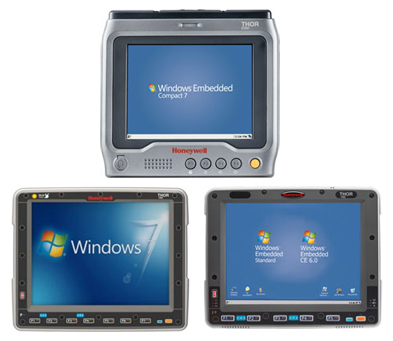 The ergonomic, lightweight TC8000 mobile computer offers an innovative design that reduces muscle effort by eliminating the need for “tilt and verify” motions warehouse workers repeatedly conduct with traditional devices. Shaving seconds off each repetitive motion saves one hour per worker per shift, increasing productivity by an average of 14 percent based on workflow. Zebra worked with users around the globe to completely re-think, re-design and re-engineer industrial mobile computers based on deep research and human factors analysis. 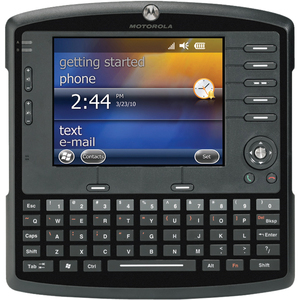 The result is the new rugged Android-based TC8000 mobile computer, 33 percent lighter than traditional mobile computers and requiring less muscle effort and reduced wrist motion to help increase the productivity of warehouse workers. It also reduces training time and makes data entry significantly faster and more accurate in challenging industrial settings. Intermec has announced the Next Generation CK3 Series of rugged mobile computers, offering one of the industry’s highest performing mobile computing options to date. For use in distribution center, manufacturing and retail operations, the CK3 Next Generation Series is comprised of two models – the CK3X and CK3R – which utilize a 1GHZ OMAP architecture to optimize workforce performance through industry-leading battery life, enhanced barcode scanning, superior device health monitoring and broad compliance for emerging industry standards such as HTML5. Tablet computing is one of the fastest-growing categories of consumer electronics and enterprise IT alike. The buzz is leading many businesses to explore new uses for tablet computers, and some are finding their way into evaluation trials on forklifts and other vehicle applications in the distribution center. With their large screens and available Windows operating systems, tablets can seem quite similar to the forklift-mounted computers that are widely used today. They can also be taken off the forklift and used on the floor, which some organizations find intriguing. However, tablets should not be considered drop-in replacements for purpose-built forklift mounted terminals because there are several major differences between the product categories. If you are considering using tablet computers on forklifts, it is important to know these differences and how they may impact operations. Careful evaluation will highlight compromises in integration and everyday use. Is the design and mounting appropriate for a warehouse or distribution center environment? How will the tablet be powered from the forklift? Is the tablet compatible with data collection equipment(scanners, printers, RFID), legacy warehouse management system (WMS), fleet management solutions and other critical enterprise systems? How will tablets impact user processes and productivity? How much will tablets really cost? Designed to enhance productivity in field mobility, transportation, and warehouse environments with multiple wireless communications, large memory capacities, and rugged designs. CipherLab has recently launched their new CP50 Industrial mobile computer. The CP50 has specific designs to assist the harsh environments of the field, on the road, and in the warehouse. It comes fully equipped with a sizable 2 GB flash memory, which allows for mega storage of data. Top it off with multiple wireless communication options which enable field workers to have a wide range of connections on the field. Your field workers would surely be well prepared with this powerful device. Along with all of its advantages, the rugged design of CP50 with IP65 is proven to withstand harsh environments. It passed 1.5 m drops onto concrete and 1,000 tumbles at 0.5 m ensuring durability. It also incorporates software tools for easy customization from CipherLab Smart Shells, Signature Capture, to FORGE Application Generator. The CP50 is built with both quality and toughness.